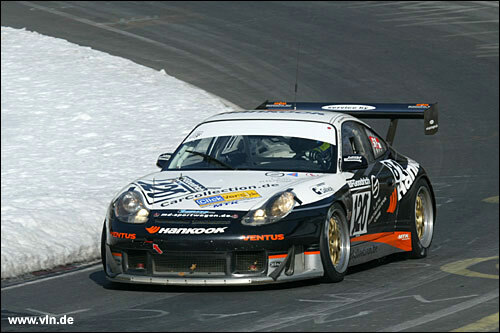 After months of closely guarding what was in effect already an open secret, Raeder Motorsport has now unveiled its car for the 2006 German Endurance Championship. 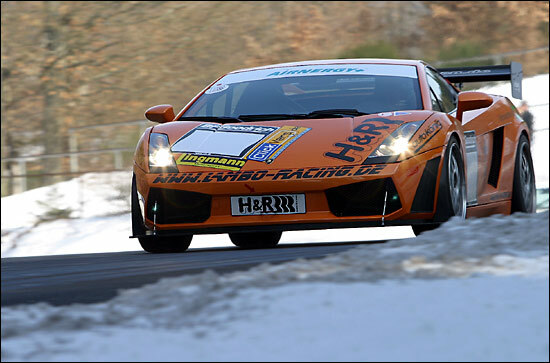 A 500bhp Lamborghini Gallardo, built in-house at Raeder, will join the series as of the second or third race of the year, with drivers Dirk Adorf and Hermann Tilke. Two time “driver of the year” Adorf is among the quickest and most popular competitors in the series, while world-renowned racetrack architect Tilke has proven his worth as a driver in many Nürburgring races in recent years. About a fifth of the current 24.5km Nordschleife/GP combination is of his own design. In favour of the Dunlop-shod Lamborghini, the two have abandoned their V8STAR “Jaguar” which has been sold and will be active in German club racing. 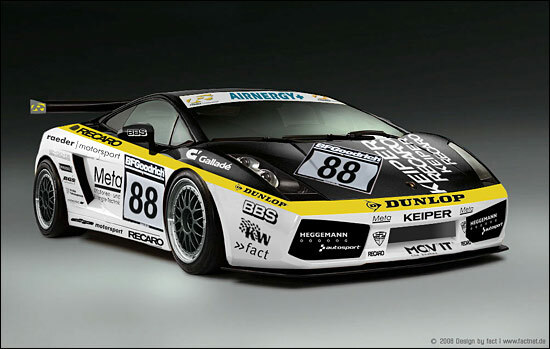 This is only one of two Gallardos in the series, with the aptly named Lambo-Racing team fielding a 4WD version that already has a class victory under its belt. "The car feels very good, it’s even more agile than before and I am sure the laptimes will drop by a couple of seconds," says Lambo-Racing driver Stephan Rösler. "We hope to lap consistently under nine minutes on the Nürburgring Nordschleife in dry conditions now." Another Italian thoroughbred was also present at the first test session on the Nordschleife last weekend. In wintery conditions that had many drivers dreaming of a certain airfield race in Florida (the run-off areas around the Nordschleife are still covered in snow), Maserati quietly launched what is believed to be an assault at the Nürburgring 24 Hours. This surprise appearance follows a low-key news item in a German motoring magazine a few weeks back. 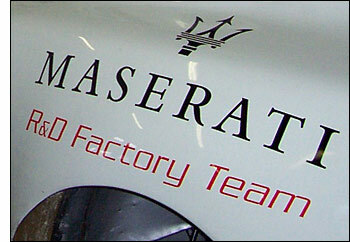 If the presence of Michael Bartels and Maserati development driver Andrea Bertolini is anything to go by then this is the unassuming tip of a factory-assisted iceberg. The ever-popular Gianni Giudici completed the driving team. So was this the same Trofeo Light that ran in the 24 Hours of Spa last year? This was evidently no more than a careful first toe in the water, and the water did prove rough, s an off-track excursion at Pflanzgarten left the Maserati slightly damaged, not the only accident on this very cold weekend. The series organisers made public a number of changes to the rulebook which include the disappearance of unloved FIA Group N, a new class for 2l turbos as well as production diesel cars, and the split of the current “alternative fuels” (diesel, LPG, et al.) class into two divisions. The former will find reigning champion Claudia Hürtgen competing in SP10 for cars up to 2000cc, as Schubert Motors is the designated development team for the BMW 120d. She will be joined by Hans-Joachim Stuck for three or four races, although possibly not the 24 Hours; and given the points structure, her chances of defending her title with class wins in SP10 look sl. Schubert also plans to enter its WTCC-style E46 320i “Meisterwagen” again (drives may still be available) so double duty for Claudia is not out of the question. The first race of 2006 is scheduled for this week, friendlier weather permitting: in the event of a cancellation, the series will be reduced to nine rounds. A race in November was added last year but in view of the conditions the drivers had to deal with this will not be done again. Other than this, the championship is thriving, with 173 permanent entries already submitted; the maximum number of starters has been raised from 180 to 210 to provide for the packed grids we can expect on the Nürburgring in 2006.